Started at about 1.30 pm from Munnar. 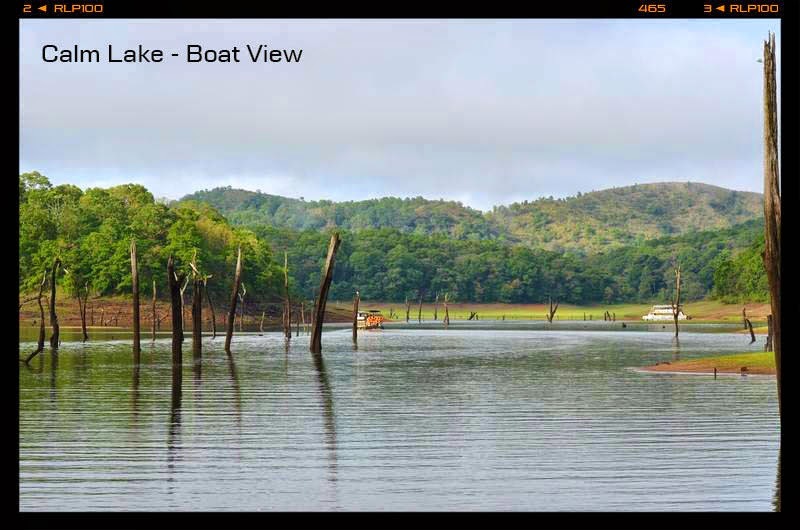 We had planned to visit Devikulam lake but we were not sure about the exact location and we skipped this place. 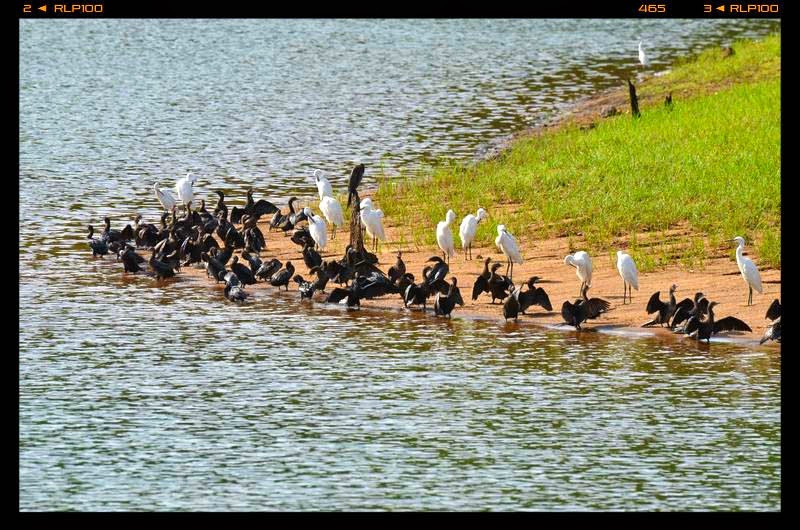 It is believed that Goddess Sita took bath in this lake. It also requires a special approval from Tata Tea. 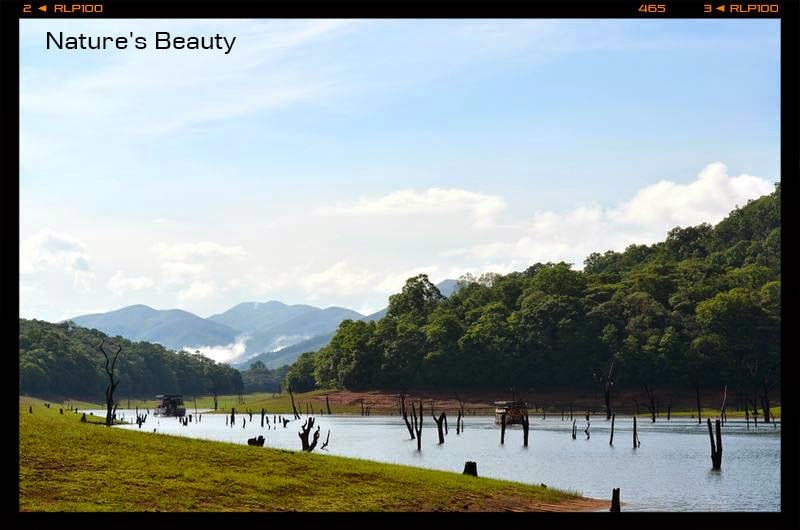 Around 10 km from Munnar on the way to Kumily, we spotted the mind boggling view of the blue hills covered with lush greenery. Spent some relaxing time here, soaked up in the beauty of spectacular views E I E I O.
Wow! rain welcomed us to the Kumily. Reached Jungle palace home stay before dark. We were allotted a ground floor facing forest. From the balcony we could see some sambar deers and wild boar. Really scared to spend the night time there but it was fun :). We asked the owner that any animals may enter the home stay as the forest starts from end of the balcony. They assured us that the animals would not enter the home stay. 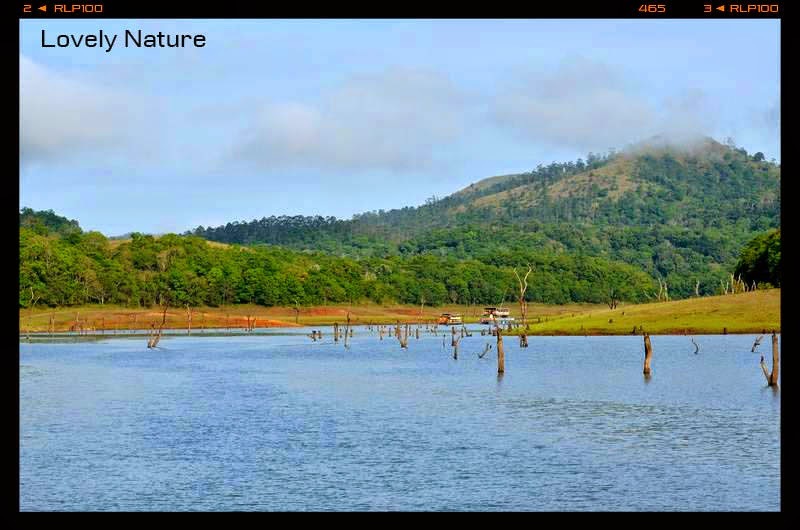 Periyar National park entrance is less than 300 metre from the place where we stayed. Next day was our wedding anniversary. Got up at about 4.30 am and stood in queue to buy entrance tickets. They opened the counter at about 6 am. Note the ticket is only for entering the park and car park. It is not guaranteed to get boating ticket. We have to buy boat ticket inside the park. The gate opened at about 7 am and all vehicles need to maintain 20 kmph inside the park. Parking place is about 2-3 km inside the park. At one point the vehicles stopped for parking and people started running to buy the tickets which is 500 meters from parking. Need to get the form and fill it up and proceed to the ticket counter. Wow! lucky to get ticket for 1st slot. Some tips if you are going for boating. Always go early in the morning. While one person is parking the other can run and ask for the form, fill it up and get the ticket. There are 2 forms available one in yellow and another one in white. 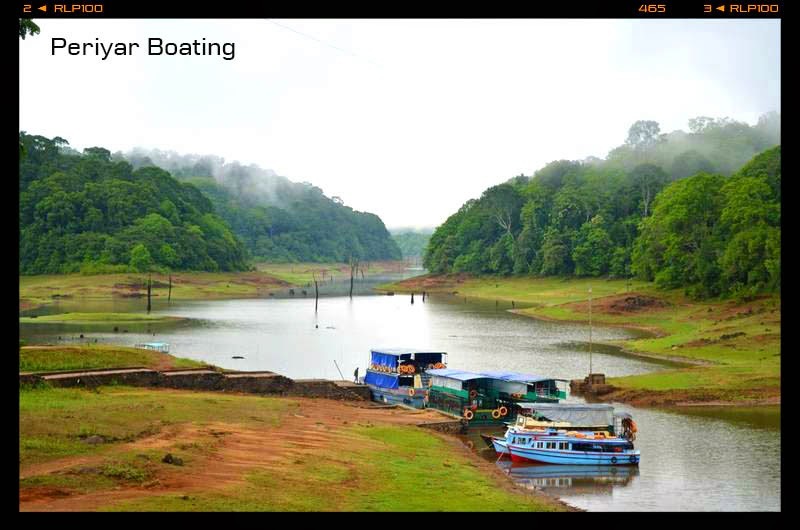 Yellow form is issued by Periyar forest boat and the white form is issued by Kerala Tourism Development Corporation. You can fill any form or both :) and then proceed to counter, ask for the upper desk for the better view. The boat ride is about 1.5 hours. The ride takes you into the deep area of park. We enjoyed the beauty of lake. We could spot only wild boar, fox, Pied Kingfisher, White-Breasted Kingfisher and other birds. Could not spot any elephants or tigers. The famous tamil song Nenjinile Nenjinile from the movie Uyire (in Hindi, Jiya Jale from the movie Dil se) and a song Bechainiyan song from the Hindi movie Gupt were shot here. 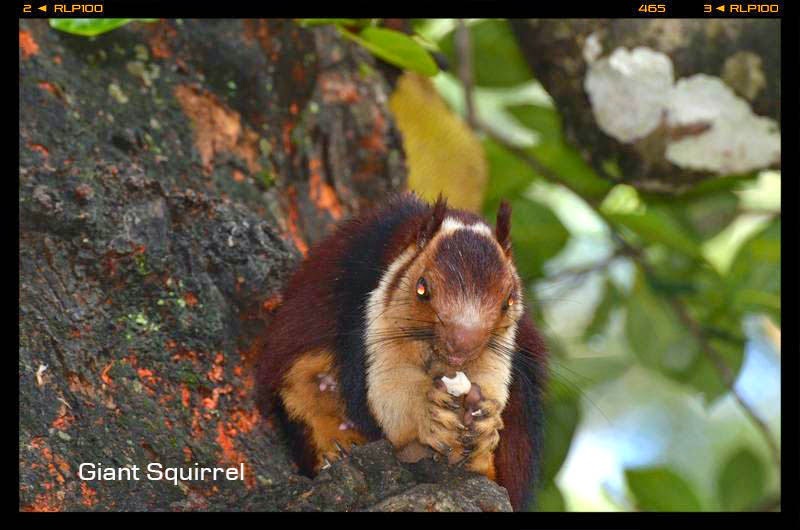 While returning to car we saw the Giant Squirrel and Langur. In the evening we spent some time shopping and booked ticket for Kathakali performance at Mudra Kathakali centre. We reached the place 1 hour early and we saw the make up done by the artist. We spoke to the artist, they said for makeup it takes around 3 hours. To get the frill effect in Kathakali dress they use around 50 rice sacks around the hip and they cover with the dress. It was really wonder for us. Started with demonstration with various facial expressions which was so striking and impressive. The power was continuously on and off and one point of time everyone started losing interest including artist. They cut short their demonstration and they played a story of "The son of Nakasura". Had not been for frequent power disruption it would have been more interesting. The whole trip was loveable and enjoyable.